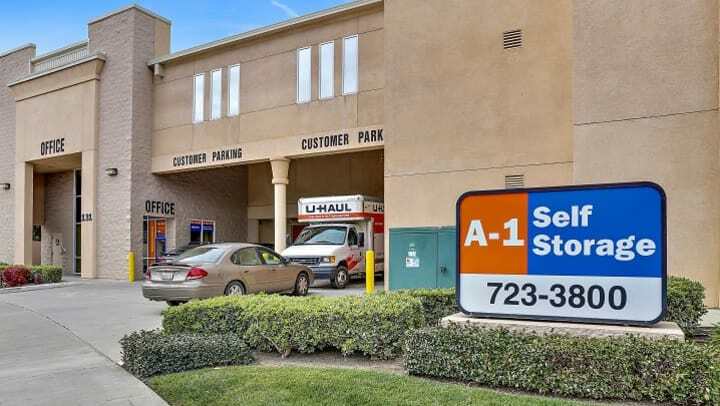 A-1 Self Storage at 131 Baroni Avenue is tucked into a part of San Jose that is highly residential with apartment complexes on one side, and condos on the other. The area is very family friendly. We sat down with Professional Self Storage Manager, Corina Villagomez, to discuss the finer details of her facility. With plenty of units, access time and entry points, this self storage facility offers variety and versatility to anyone who chooses to rent here. Corina notes that the security at the facility is also excellent. Due to the location, parking can be limited during busy hours. There are parking spaces along the front and back of the office. The facility allows parking along the concrete wall as well. In addition to providing clean, safe facilities, this location has a retail store featuring moving supplies of all types. The majority of customers at this facility are storing residential items due to a recent move or home project. By providing moving supplies, A-1 Self Storage aims to be the most convenient self storage facility in San Jose, CA! While the competition for space may be fierce, we encourage anyone looking for a safe place to store their belongings to come and take a walking tour of the facility with Corina or any of our friendly team of self storage professionals. We’re confident you will see the difference in not only the quality of our units, but the courtesy and kindness of our team. This post was originally written in May 2018 and has been updated to maintain accuracy.